Additional “training and workshops” would work to “strengthen Iran’s ability to protect against, and respond to nuclear security threats, including sabotage, as well as to enable effective and sustainable nuclear security and physical protection systems,” the text states. The language was viewed as disturbing by analysts and experts who said such cooperation could help protect Iran against efforts by the Israelis or other countries to sabotage the Islamic Republic’s nuclear program in the future. “The United States and its partners have just become the international protectors of the Iranian nuclear program. Instead of rolling back the Iranian nuclear program, we’re now legally obligated to help the Iranians build it up and protect it,” said one Western source present in Vienna and who is apprised of the details of the deal. In addition to teaching Iran how to protect its nuclear infrastructure, world powers pledge in the agreement to help Iran construct next-generation centrifuges—the machines that enrich uranium—at its once-secret nuclear site in Fordow, where Iran has been suspected of housing a weapons program. Fordow is an underground and fortified military site that is largely immune from air strikes by those seeking to eradicate Iran’s nuclear infrastructure. While Iran will not be permitted to enrich nuclear material with these centrifuges, the know-how gained from operating these advanced centrifuges could help it advance clandestine nuclear weapons work, experts say. The Obama administration had once vowed that Iran would have to fully dismantle its centrifuge program. However, this demand was walked back as the Iranians demanded greater concessions over the past months. Meanwhile, Iranian President Rouhani celebrated the deal in a speech that detailed how the country received everything it was looking for from the United States. This includes the full rollback on sanctions on Iran’s financial, energy, and banking sectors, as well as others, and the suspension of international resolutions banning the sale of arms to Tehran. 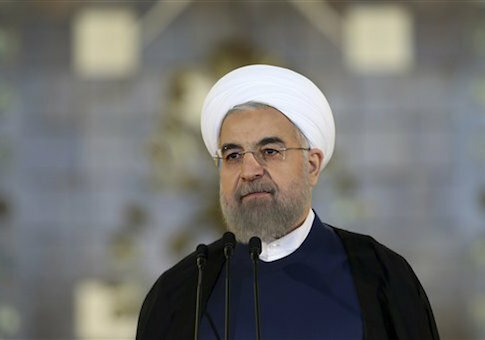 Iran will also move forward with work on its advanced centrifuges and also “continue its nuclear research and development,” according to Rouhani’s comments. “All our goals materialized under the deal,” Rouhani said, according to Fars. Iran’s nuclear reactors in Arak—which could provide with a second pathway to a nuclear weapon—also will continue to operate under the deal. It will continue in conjunction with the nuclear enrichment plants located in Fordow and Natanz. Rouhani went on to say that Iran “will scrutinize implementation of the agreement” to ensure that the United States and other world powers uphold their end of the bargain.